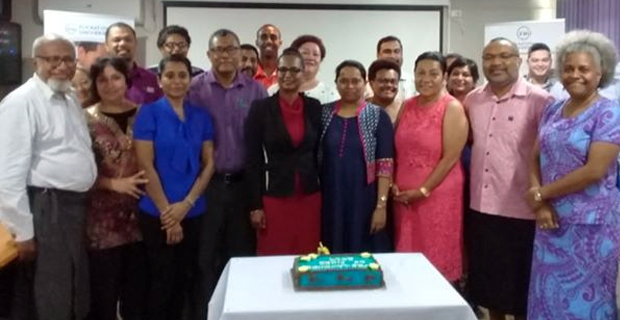 Medical students and academics in Fiji and the Pacific will now have the chance to be involved in one of the biggest health research symposiums in Fiji. This is after the Fiji National University’s College of Medicine, Nursing and Health Sciences officially opened registrations for the Pacific Islands Health Research Symposium. Speaking at the opening of registrations, Dean of the College of Medicine, Nursing and Health Sciences, Dr. William May says that the Research Symposium will focus on issues faced in the health sector in Fiji and other Pacific Islands. May adds that these issues include, non-communicable diseases, communicable diseases, sexual reproductive health, child health, climate change and health, mental and oral health. He says that information disseminated from the symposium since it was established in 2011 that includes health systems and human resources and NCD’s have been used to correlate data and address issues in the College and the Ministry of Health. May also highlighted that they are expecting a total of 150 participants to be part of the program adding that registrations for the Research Symposium close on the 14th of June. The Pacific Islands Health Research Symposium will be held from the 29th to the 30th of August at the Pearl Resort, Pacific Harbour.